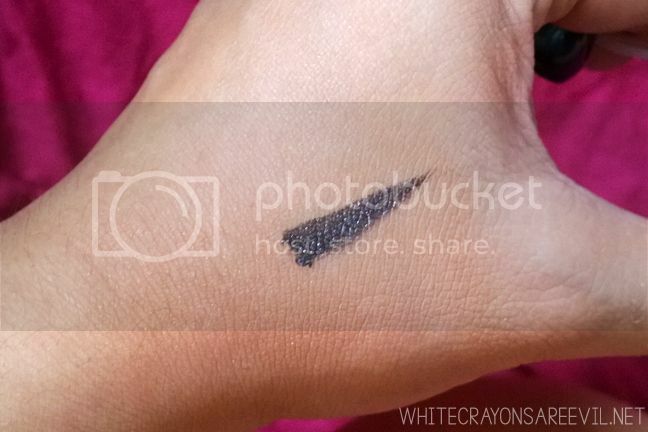 For our Feature Friday this week, let’s talk about one of my Althea Korea loots, this Tony Moly Backgel Eyeliner in Pearl Black. I bought it for Php 290. I’m sorry, I have yet to check out our local Tony Moly here in the Philippines if a.) this is available here b.) the price. I’ll update you guys as soon as I visit their SM Manila branch. I checked yesterday and it IS available here, but I only saw the plain black shade. Priced more than Php 500! Anyyywayyy, the eyeliner comes in three parts a.) the applicator (the top one which you can detach from the cap) b.) 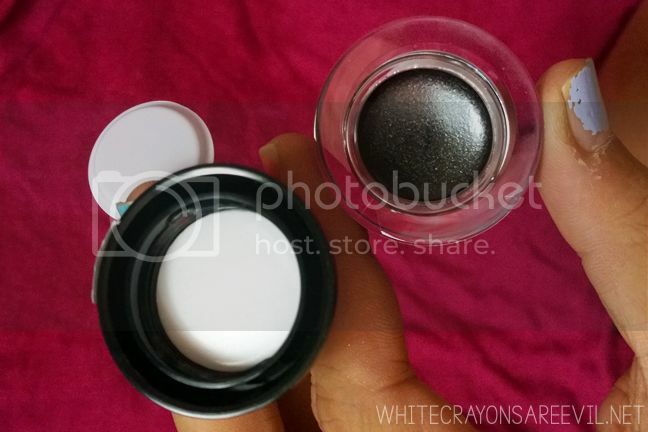 the cap, which houses the applicator, which also serves as the actual product’s cap (surprise!) c.) the actual product which is enclosed in a transparent compartment. 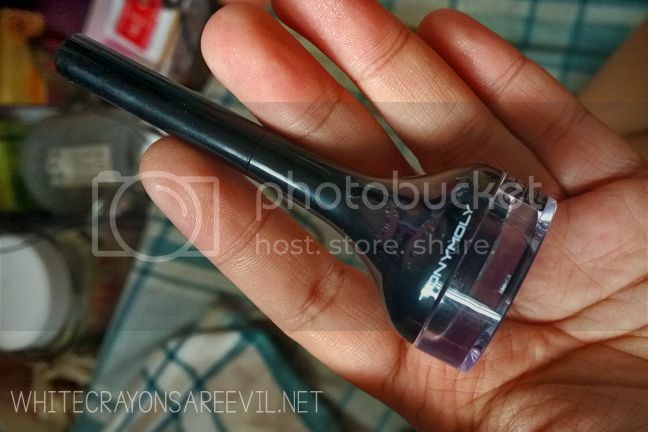 This is the applicator *look at the picture below* which is a tiny brush. It’s a little wider for those precise wings, might I add. Also in the picture is the cap where the applicator is attached. Below is the actual product. I chose Pearl Black, the more glittery shade. Because why not. You’ll get 4 grams-worth of products. According to the Althea Korea, this is a “waterproof eyeliner which also controls the pores”. Here’s a swatch. This is exactly how it would look on the eyes. I ABSOLUTELY LOVE THIS. I can’t believe I bought this for less than Php 300. What a steal! Application is heaven. I don’t know if it’s the brush or the actual product, but this just glides smoothly through my eyelids. PERFECT for beginners. The staying power is very, VERY impressive. I have little faith with the longevity of anything sparkly, but this one is pretty amazing. Again, because the brush is not really pointy or something, you might find it hard to use this for precise wing. You can, I think, but not as easily as you would using a felt tip or thinner brush.